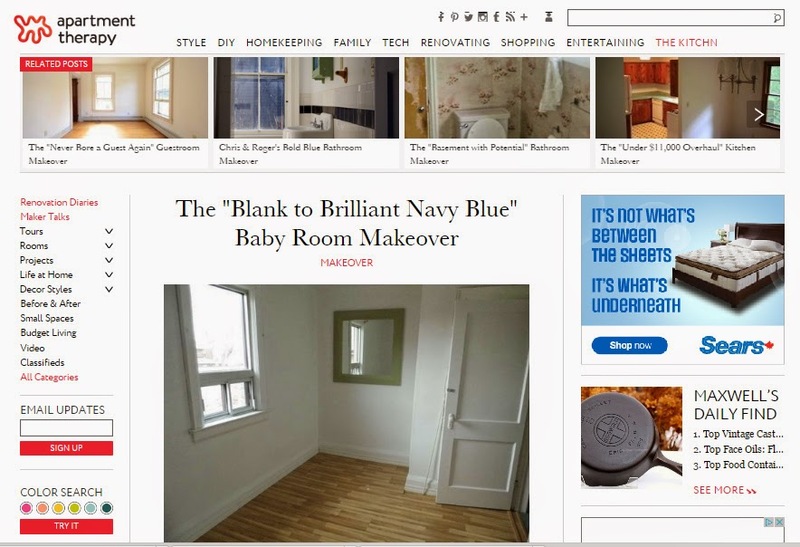 Fresh Coat of Paint: We've Been Featured on Apartment Therapy! We've Been Featured on Apartment Therapy! Wow! Rudy's nursery was just featured on one of my favourite blogs, Apartment Therapy! This is not the first time we've been featured, but it's still exciting and surprising each time! I'm always so thrilled when their editors think a room in our house is beautiful enough to feature and it motivates me to keep working on our new/old house. 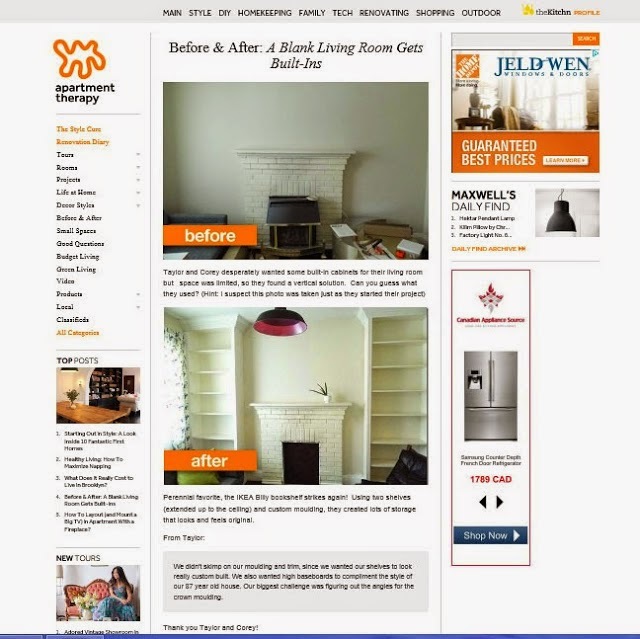 Last time we were featured, it was because of our Ikea hacked bookshelves in the living room. You can check out the post here and the actual feature here. 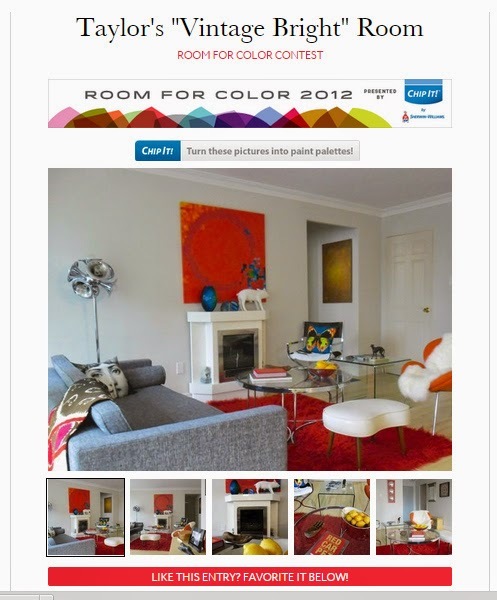 We've also participated in the Room for Color contest a couple of times. 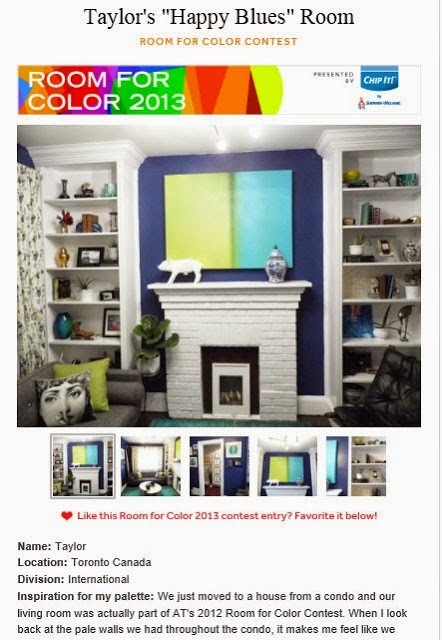 You can see our 2012 entry (Taylor's Vintage Bright Room) here and our 2013 entry (Taylor's Happy Blues Room) here. 2014 was a little too crazy for us to finish a room to submit, but I'm hoping to have an entry in 2015. 2014 wasn't totally bereft of blog excitement, though. We did find ourselves nominated for a Homie Award and, although we were pretty low on the list, it was a huge honour! I'll end this post by welcoming anyone new to Fresh Coat of Paint. I hope you find something interesting. :) For my regular readers, here's a link to the featured post.